On the Spring/Summer 2013 runways, wrap skirts (a.k.a “split skirts”) showed up repeatedly in collections such as those from Rag & Bone, Tommy Hilfiger, and Proenza Schouler. 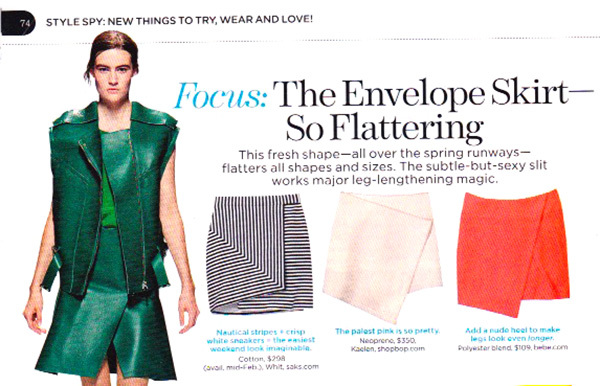 Lucky Magazine also did a short feature on the wrap skirt (calling it the “Envelope Skirt” in their February 2013 issue), and I was immediately taken with how easy it seemed to make. 3. Pin the part you tucked down. 4. 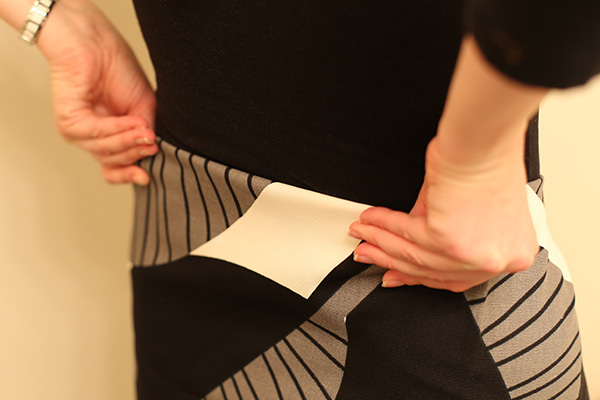 Tug down on the skirt so it sits on your hips, and make sure the top of the skirt looks how you want it to. Take the skirt off and lay it on a flat surface. 5. 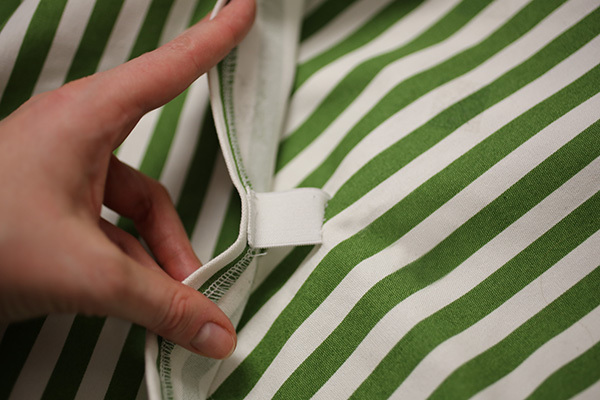 Mark a line along the fold, which should be a curved waistline that hugs your waist perfectly. 6. 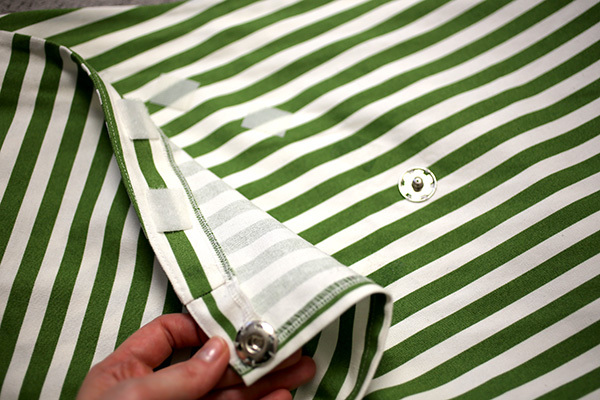 For a simple folded-down waist, add about 1/2″-3/4″ above that line, and cut (not pictured). 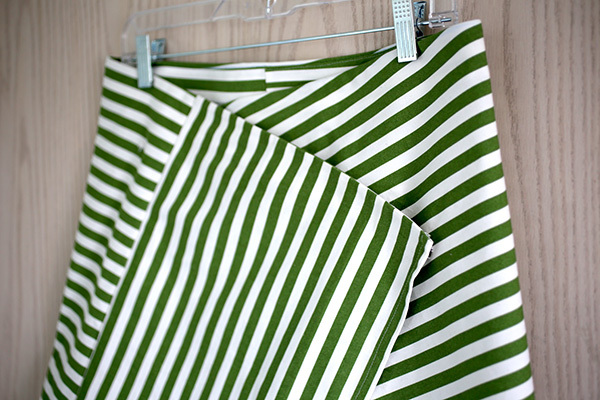 You can just fold that seam allowance to the inside and topstitch to create the top of your skirt. 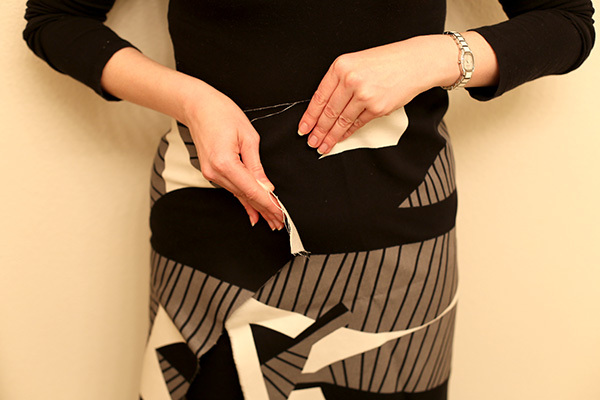 Depending on how curved the waistline is, you may need to notch the seam allowance on the inside of the skirt to allow the curve. 8. 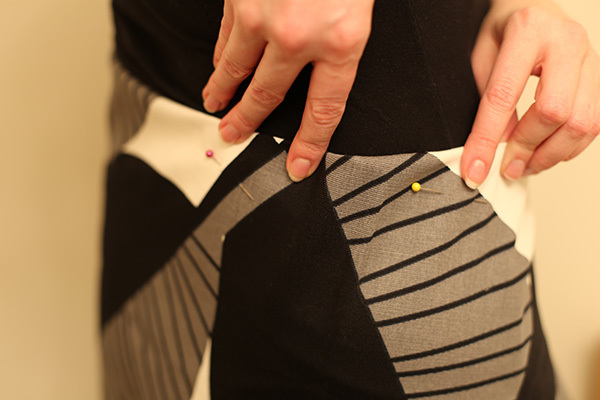 Hem the edges of your skirt by turning to the inside and stitching down. I chose to overlock my edges first to prevent unraveling. 9. 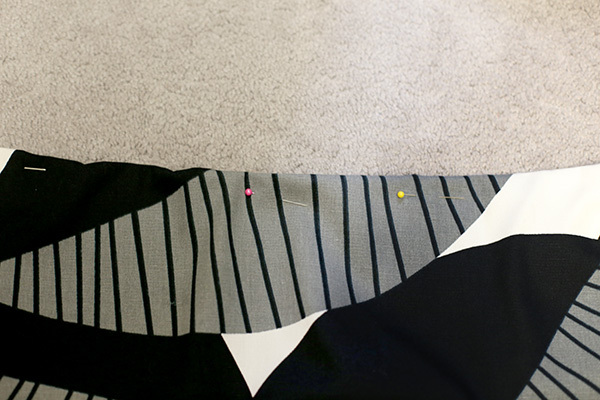 Try on your skirt and determine the length you want, and hem the skirt. 10. 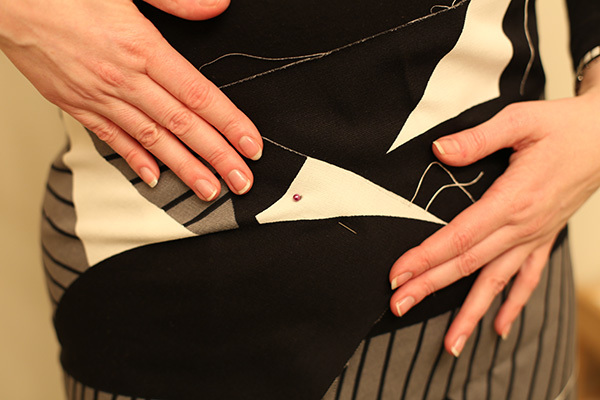 To create a closure, hand-sew a large snap onto the inside front corner of your overlapped piece, with the corresponding snap on the skirt body. 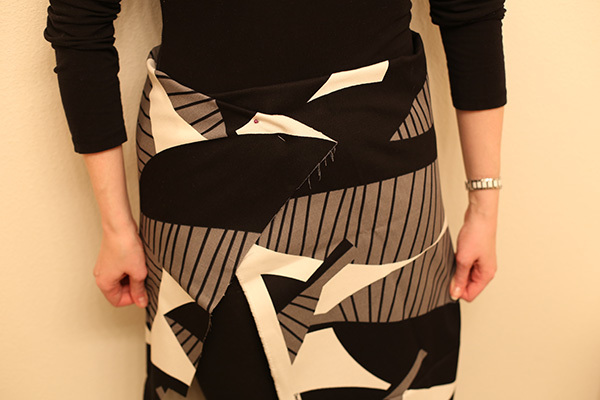 I used a medium-sized snap on the outside of the top corner of the inner part of the wrap skirt, to hold the top right corner underneath the wrapped-around piece. I also used 2 pieces of sticky velcro to hold the front flap down at the top; this helped secure the skirt a little better across the flap. And there you have it! 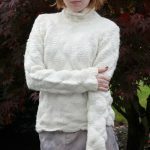 Pretty easy, kind of cool, and super-fun to make! 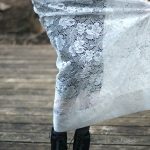 See how I wore the DIY Simple Wrap Skirt in this post here! 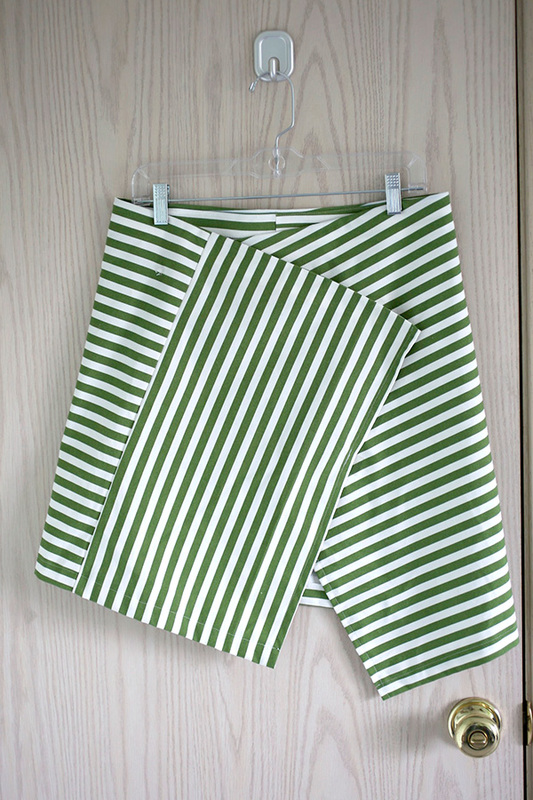 **The stiffer the fabric, the more it will accentuate the wrap shape to the skirt. 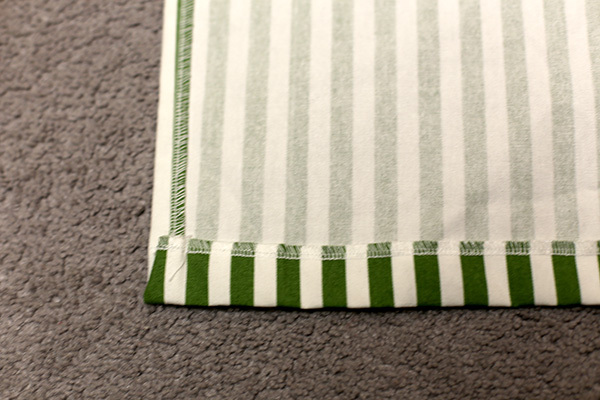 I’m using some fabric from IKEA, which is more of an upholstery-weight fabric, so sits stiffly away from the body. First two skirt photos by Brooke Morse. So pretty! I should really learn to sew. 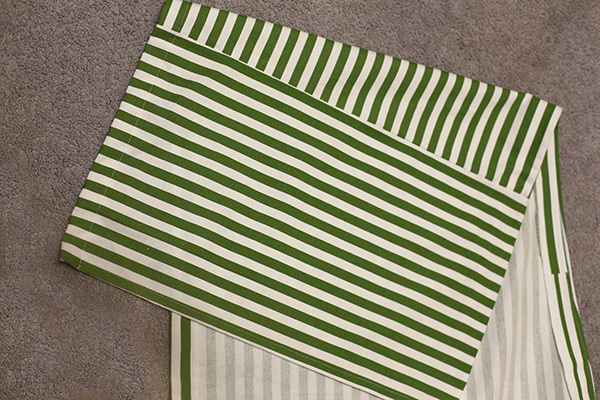 I love the green and white print you chose! 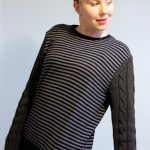 There was a similar post with a scarf on the blog Runway DIY a year or two (I think) ago! I’ve been eyeing this style ever since and might just try it. Oh, was there? I shall definitely have to check it out – thanks for the tip! !